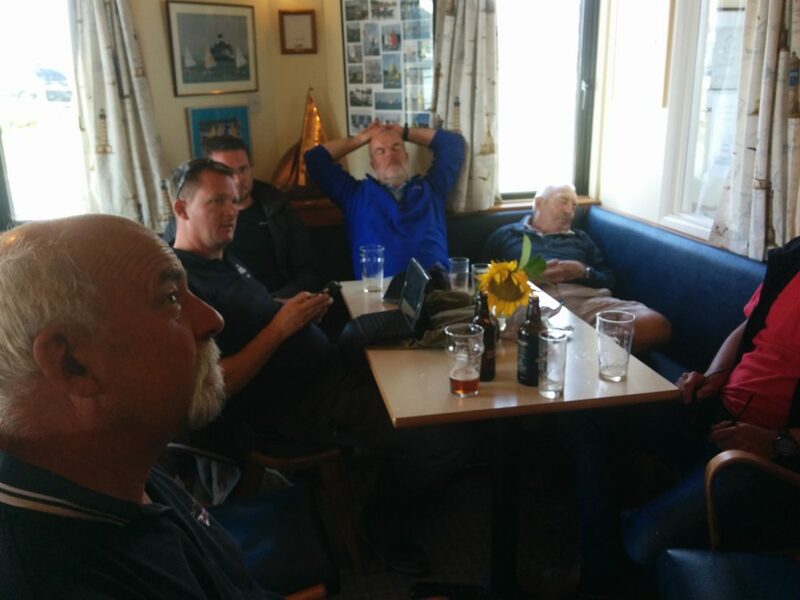 Record times were established on the first leg to Yarmouth with our kites filled with a stiff SW. It’s true we had the tide under us but with most boats elapsed times under 2 hours made for an exciting and very close race: Indeed at 10:03 three yachts ‘Fraid S’eau, Mojito and Zorra passed through the finish line transit at Black Rock with just three seconds between them! 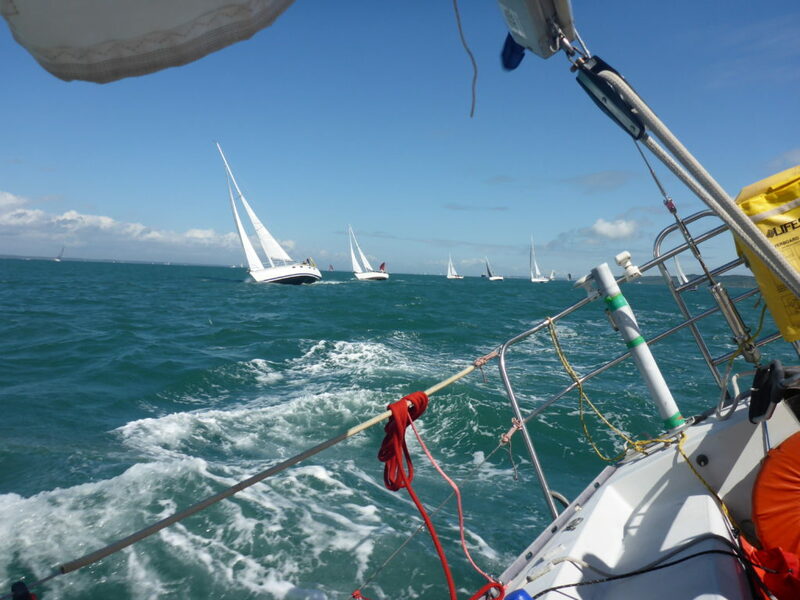 However the best corrected time, ahead of the fleet of the dozen larger cruisers, was the little Achilles 7m, Pink Panther ably crewed by Tim Lees, Matt Hitt and a young newcomer Mike Payne. Good results in Class 3. New member Bob Wheeler in his ‘classic’ 1960’s Elizabethan 29 Skykomish and guest Steve Lawrence in his Trapper 500 Heather Jane; both just ahead of our PYRA Captain in his Beneteau 285. 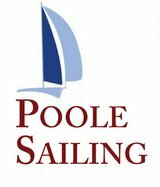 This event was sponsored by PYRA; being a ‘TASTER’ of what we do, namely friendly but competitive racing within a 60 mile radius of Poole (plus a bit for St Vaast, Guernsey or Dartmouth). 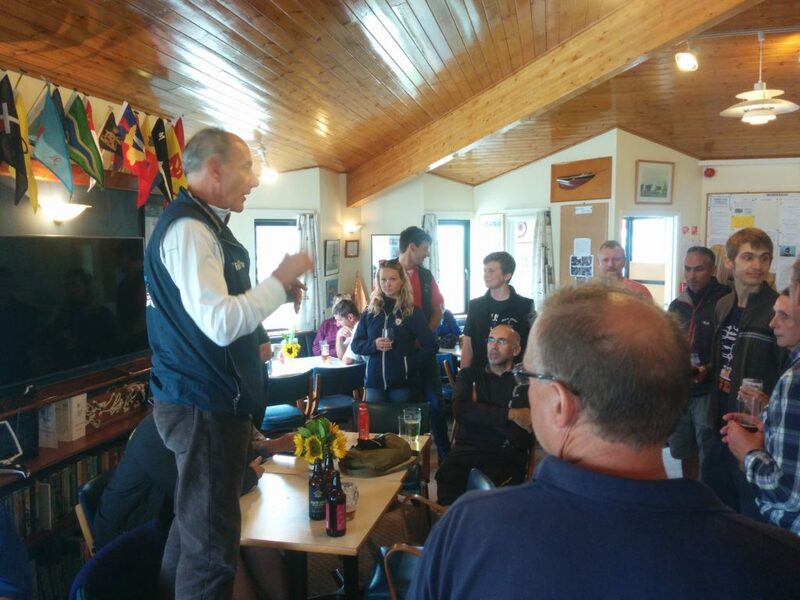 Indeed, entry was free to any new boat and any new crew who were offered free drinks at our Rendezvous at noon in the friendly Sailing Club who provided a warm welcome as always. The race back was equally challenging. Pistraus tore her main in the stiffening breeze and DNF. Thus the return leg favored the sturdier Class1 yachts with line hours taken by Bob Dyer’s Hallberg Rassy 41, Grey Silkie. However, Deity, our Committee Boat for the day, won on corrected time. A Great days racing for all Classes in breezy conditions.